Vivien Leigh is widely hailed as one of the most brilliant actresses of the 20th century, best known for her Oscar-winning turns as turbulent heroine Scarlett O’Hara in Gone With the Wind (1939) and the wild-eyed Blanche DuBois in A Streetcar Named Desire (1951). When she married fellow acting powerhouse Laurence Olivier in 1940, the pair were duly worshipped as Hollywood royalty. But behind closed doors, the actress pursued other passions and hobbies, many of which have been brought to light by a new exhibition and forthcoming auction of her personal possessions by Sotheby’s in London. Through these treasured trinkets, ranging from artworks and photographs to letters, clothing, jewellery and gifts bestowed upon Leigh, it is possible to build an unprecedented picture of the red-haired creative’s storied private life. As Harry Dalmeny, the UK chairman of Sotheby’s, expands: “Behind the guise of the most glamorous and talked-about woman of her age we find a fine art collector, patron, even a book worm, who was the intellectual equal of the literati, artists and aesthetes she counted among her coterie.” Here, we examine ten of the most fascinating objects included in the sale, and revelations they offer about their spirited owner. Leigh fell in love with acting as a 14-year-old schoolgirl, making her professional stage debut in London in 1935. By 1939, when she auditioned for the role of Scarlett O’Hara in the movie adaptation of Margaret Mitchell’s novel Gone With the Wind, she was still relatively unknown. There were around 1,400 contenders for the part – the result of a nationwide search costing $50,000. Leigh was introduced to the film’s producer David Selznick by his brother Myron, who was also Laurence Olivier’s agent in Hollywood. The production had begun shooting – without a leading lady yet secured – when Myron brought Leigh to meet his brother on set, on the day they were filming the dramatic burning of Atlanta scenes. He said simply, “Meet Scarlett O'Hara,” and Selznick, upon seeing Leigh’s face lit by billowing flames, announced that his search was over. 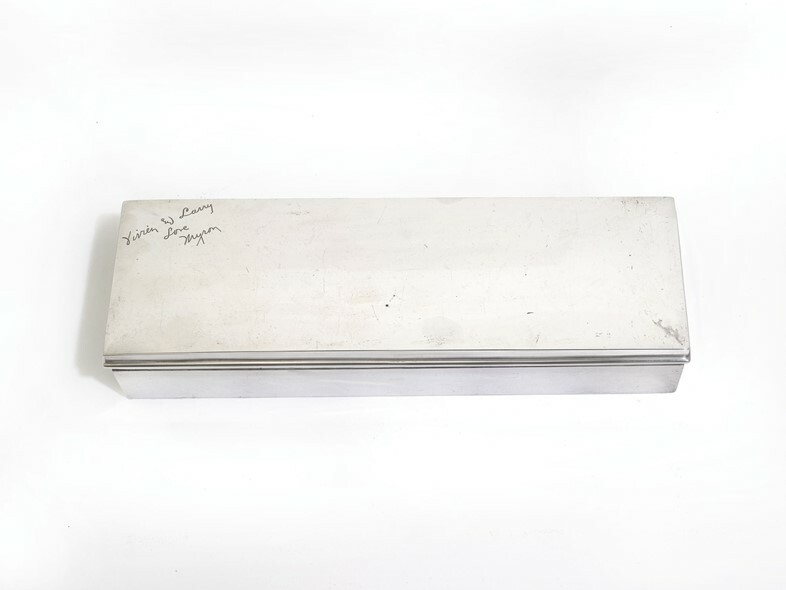 This silver cigarette box, presented and inscribed to Leigh and Olivier by Myron serves as an enduring memento of this life-defining event. Interestingly, Leigh was besotted by Mitchell’s 1936, Pulitzer Prize-winning story long before auditioning for the role of O’Hara. “From the moment I read [it], I was fascinated by the lovely wayward, tempestuous Scarlett,” she once recalled. “I felt that I loved and understood her, almost as though I had known her in the flesh. When I heard that the book was to filmed in Hollywood early in 1939, I longed to play the part.” She reportedly kept a copy to hand at all times while making the film, disputing any divergence from the original text. Leigh was of course astounding in the role of the feisty protagonist, winning her first Oscar for the performance aged just 26, and promptly ascending to worldwide fame. 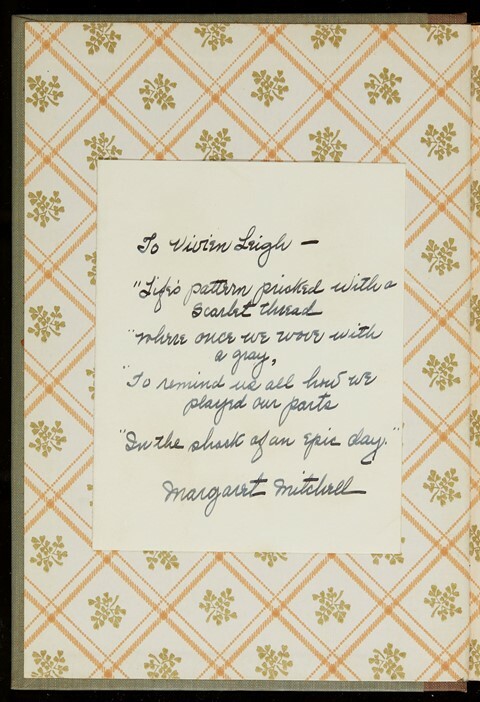 The actress’s most prized copy of Mitchell’s novel was signed by the author herself and inscribed with a handwritten poem which reads, “Life’s pattern pricked with a scarlet thread / where once we were with a gray / To remind us all how we played our parts / In the shock of an epic day”. Leigh was a woman of steely determination. Three years before securing the part of O’Hara she had succeeded in realising another dream: winning the heart of acting legend Olivier. Having seen the dashing English actor perform a number of times on stage, she declared to a friend in 1934 – a year before they were formally introduced – that this was the man she wanted to marry. They first met at the Savoy Grill at the end of 1935 and by 1937 were passionately entwined in a secret affair (both were married at the time). It wasn’t until 1940, having divorced their previous partners, that they finally wed, remaining together for the next 20 years. In a 1982 interview, 15 years after Leigh’s death, Olivier described the actress as being possessed of “an attraction of the most perturbing nature I had ever encountered”. 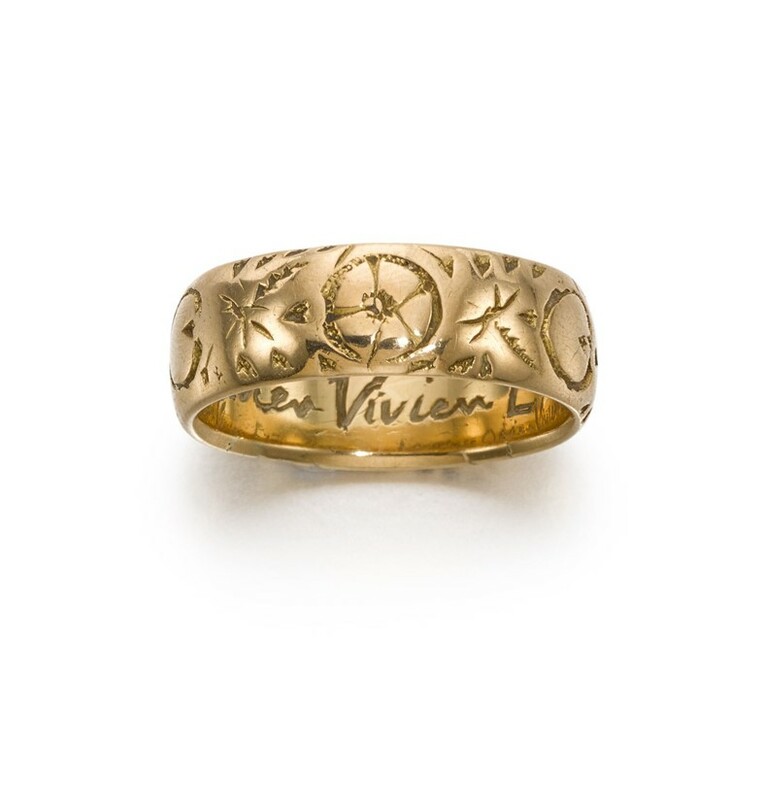 This elegant gold ring, decorated with dancing flowers and inscribed “Laurence Olivier Vivien Eternally”, was one of the many pieces of jewellery given to Leigh by her doting husband. 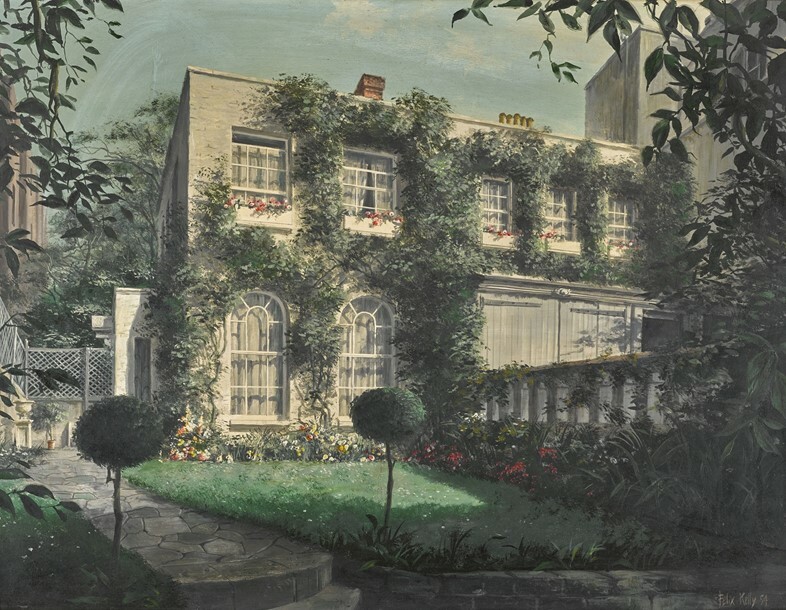 This idyllic mews cottage in Chelsea, here seen in a painting by Australia-born artist Felix Kelly, was purchased by Leigh in 1937 and remained the London abode of the Oliviers during their marriage. Leigh took a maximalist approach to interior decor: the sitting room was famously filled with flowers, and boasted a vibrant Walter Sickert painting above the fireplace, while the kitchen comprised of bold blue and white stripes. Anne Norwich, a friend of Leigh’s, described the overall effect of her handiwork as “sweet and bijou,” going on to explain that visitors “could hardly move for objects; it was an almost claustrophobic prettiness that Vivien surrounded herself with”. The Oliviers’ country retreat was the resplendent Notley Abbey, a vast house dating back to the Middle Ages when it was endowed by Henry V. They purchased it in 1944, and Leigh turned her hand to its renovation with the help of esteemed interior designers Lady Colefax and John Fowler. 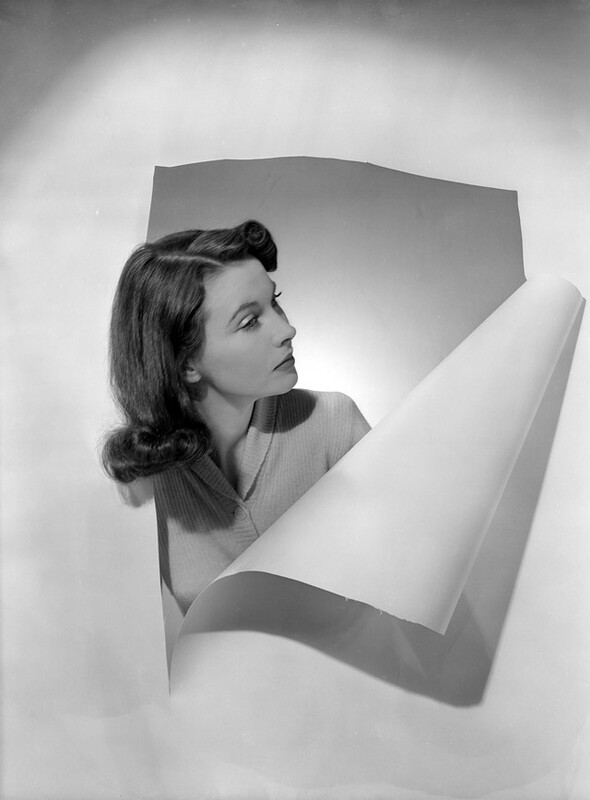 “Vivien approached the decoration of her homes as if she were designing a set,” notes Dalmeny, “incorporating influences and inspiration from a life spent on screen and on stage. These houses were an extension of the theatrical space, with medieval Notley Abbey looking positively Shakespearean”. Leigh and Olivier entertained many a prestigious guest at Notley over the years, from Orson Welles and Rex Harrison to Marlene Dietrich and Katharine Hepburn, who were said to frequently be found weeding the garden on weekends. 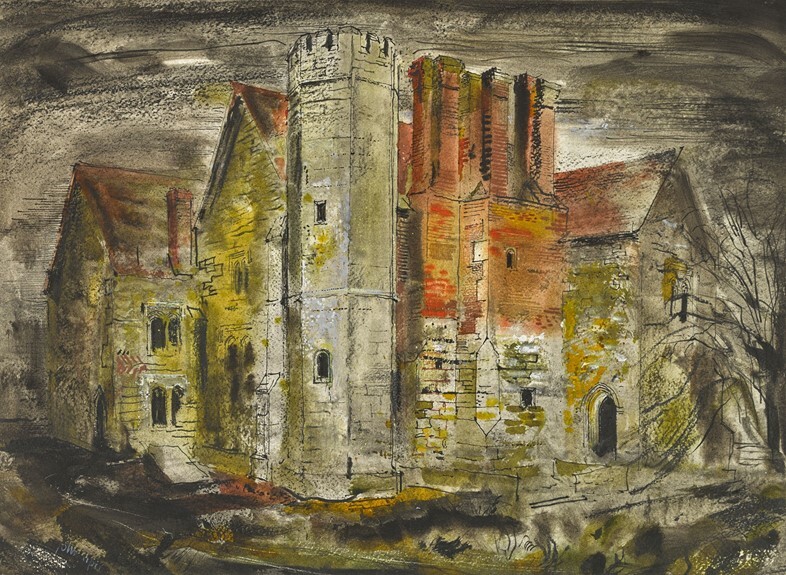 This painting of the abbey by John Piper was commissioned by the pair in the 1940s. It is a testament to Leigh’s friendship with Sir Kenneth Clark, the former director of the National Gallery, who enlisted Piper as one of the key visual documentors of World War Two and presumably pointed the Oliviers in his direction. The resulting image, in fiery hues, is suitably brooding and dramatic. Leigh was a fervent art lover and collector throughout her life, her frequent adventures across the globe resulting in multiple pictorial purchases from the countries she visited. While travelling, she would also take select paintings along with her to liven up her hotel rooms. One of her most beloved works was painted by Sir Winston Churchill, who presented it to the actress, a close friend, during a midnight supper he hosted in 1951. 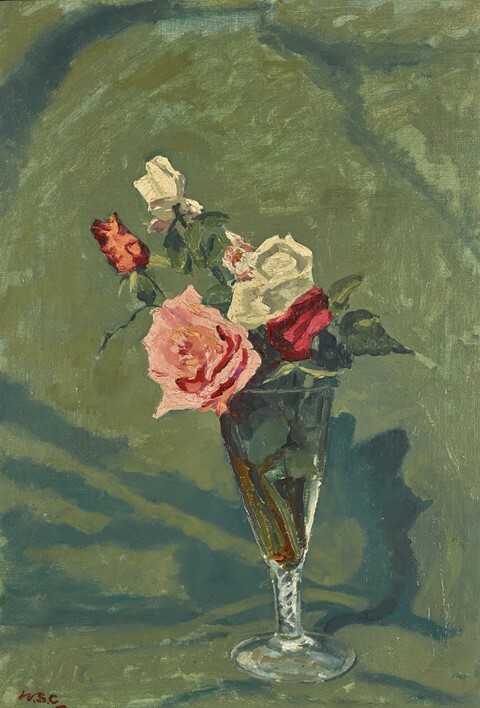 It depicts a bunch of roses in a small glass vase, which the wartime prime minister had picked from his garden at Chartwell, his country house in Kent. Leigh hung the painting on the wall opposite her bed and described it as giving her “the determination to go on”. Churchill and Leigh were first introduced on the set of 1936 film Fire Over England, sparking a friendship that would last until the former’s death 30 years later. Churchill was a great fan of cinema, and particularly of Leigh’s performances: he famously stayed up until 2am to watch Gone With the Wind upon its release. In 1950, he gave the actress a signed copy of his book, Painting as a Pastime, a publication that expounds the therapeutic virtues of creating art, and ignited in Leigh a desire to try her own hand at painting. 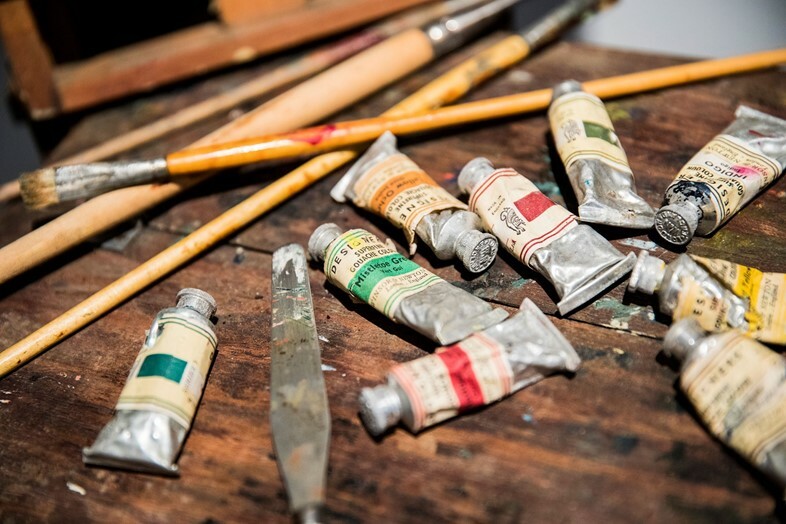 The auction includes the actress’s personal painting set, including a wooden easel, with a red, graphic sign reading ‘fragile’, as well as her canvas artist’s bag and paint-spattered palettes. A charming picture of a Tuscan landscape, painted by Leigh, will also feature. Leigh first starred as the troubled Southern belle Blanche DuBois in Tennessee William’s iconic play A Streetcar Named Desire during a theatre production, staged in London and New York in 1950. Both she and her co-star, the brooding Marlon Brando, were cast in the film adaptation a year later. 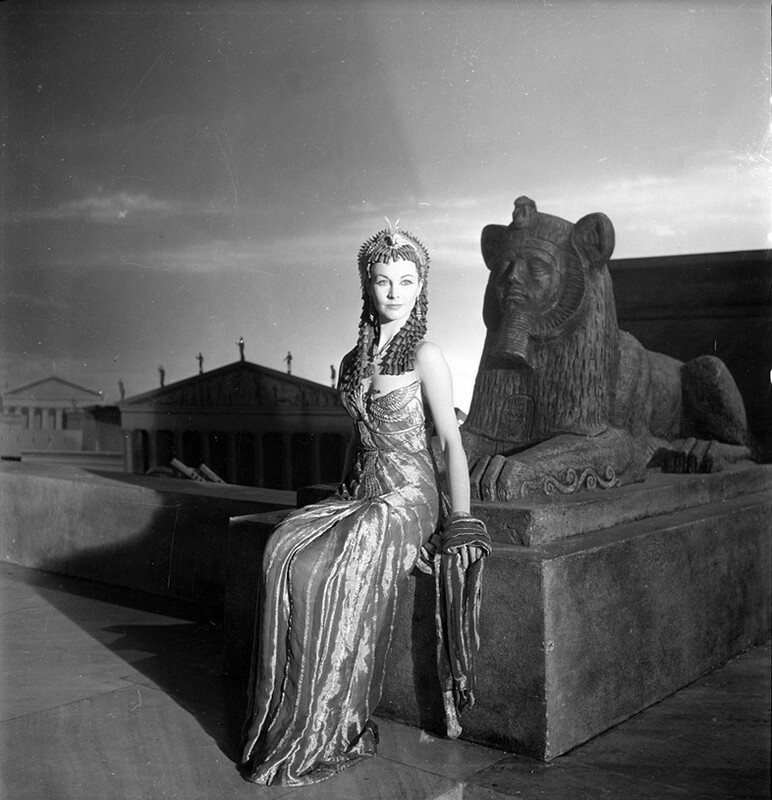 Leigh found the role extremely demanding, declaring on set, “I had nine months in the theatre of Blanche DuBois. Now she’s in command of me in Hollywood.” Director Elia Kazan was astounded by Leigh’s dedication to the role, later reflecting that “she’d have crawled over broken glass if she thought it would help her performance”. Williams was similarly taken with the star, describing her as the “Blanche I had always dreamed of”. Leigh secured her second Oscar for her harrowing performance, carried out in an increasingly dishevelled blonde wig, also for sale as part of the auction. Leigh was a pioneer of fabulous couture throughout her life, first appearing in British Vogue in 1937, decked in a magenta Victor Stiebel evening gown trimmed with turquoise tulle, and going onto capture the attention of Diana Vreeland at American Vogue, who described her as “the perfect English rose”. 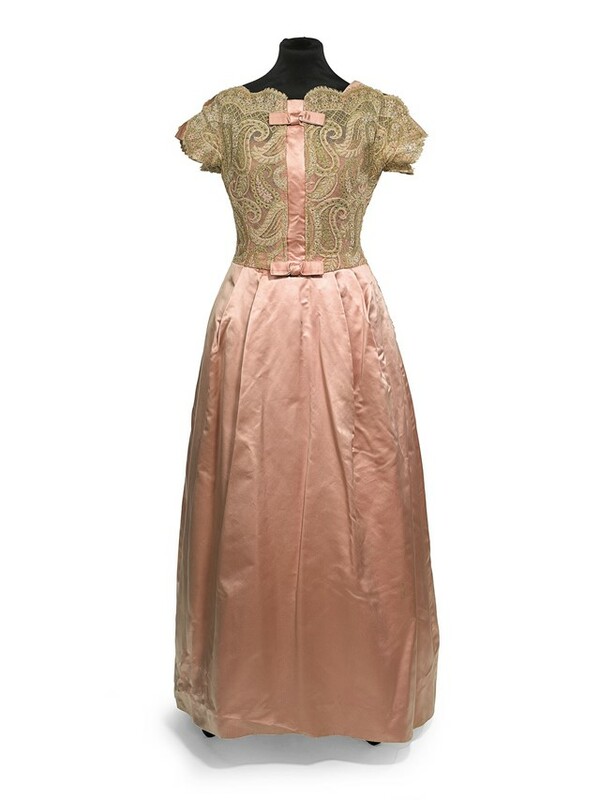 As well as Stiebel, whose work she continued to support, Leigh also championed the designs of Schiaparelli, Lanvin and Balmain, and could frequently be found visiting the Paris atelier of Christian Dior. She was rarely seen in public looking underdressed, famously wearing her floral 1939 Oscars gown, by Irene Gibbons, to perform for the troops in North Africa. 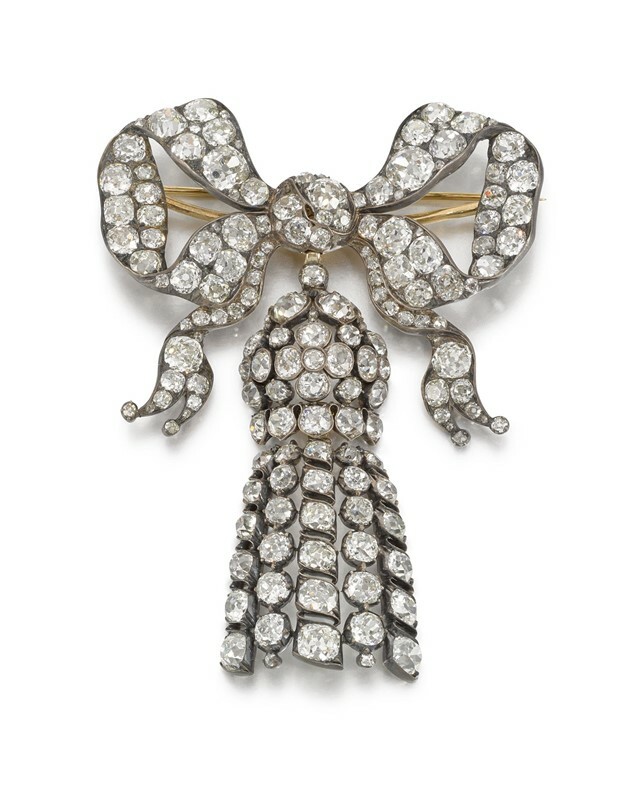 She also boasted a fondness for antique jewellery, a beguiling, diamond encrusted brooch in the shape of a bow (one of her signature motifs) forming part of the September sale. 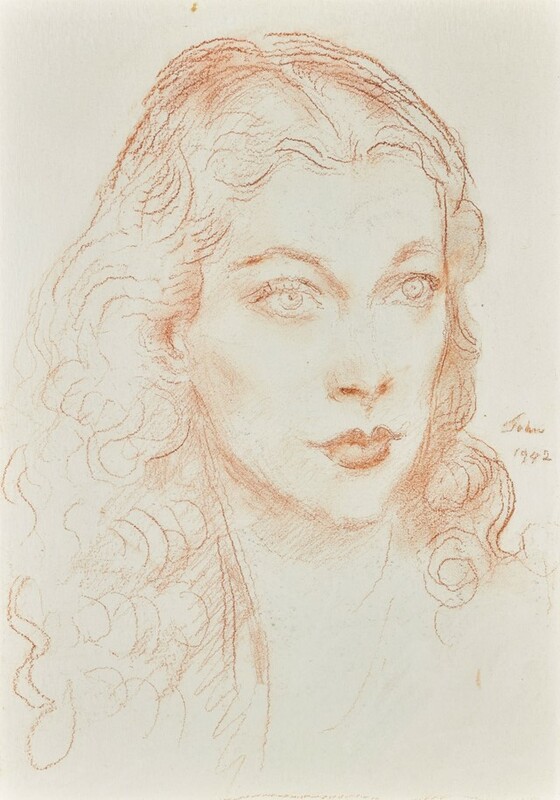 One of the most remarkable of the 45 artworks up for auction is a 1942 red chalk drawing of Leigh captured by celebrated British artist Augustus John. It was a study for a painting of the actress commissioned by Olivier, which was sadly never completed – allegedly because its author grew rather too fond of his subject. It perfectly captures what Olivier termed Leigh’s “magical looks” and “beautiful poise” – qualities which held her viewers enraptured. Leigh always resented her beauty, however, saying on the subject, “People think that if you look fairly reasonable, you can't possibly act, and as I only care about acting, I think beauty can be a great handicap”. But Leigh never let her looks stand in her way. Her vivacity and spirit – embodied here in the portrait’s penetrating gaze – and her inimitable acting abilities remaining her greatest legacy. Prior to casting Leigh, Gone With the Wind director George Cukor declared that “the girl I select must be possessed of the devil and charged with electricity,” and Leigh could conjure both qualities, and more, with breathtaking prowess. Tragically her life was cut short by tuberculosis in 1967, at the age of 53. Her career was still in full-swing and she was about to begin rehearsals for Edward Albee’s play, A Delicate Balance. Vivien Leigh’s collection will go on sale at Sotheby’s, London, on September 26, 2017.